Race Against Blood Cancer is looking to add two part time employees to its Community Engagement Team to register lifesaving stem cell and bone marrow donors. Successful applicants will be responsible for organising and leading their own donor drives at various locations where there are large crowds of people such as colleges, universities, sports clubs, places of work, music events etc., along with educating and signing up members of the public who are in attendance. In the role the person will self-select where and when they want to do a donor drive, meaning there’s a lot of flexibility. The person will earn a day rate which will be dependent on how many donors they register on that day. Someone who has access to a car would be ideal given there will be travel involved. If you’re interested please send your CV to lucy.baumgartner@raceagainstbloodcancer.com along with a 200 – 300 word description of why you believe you would be a good candidate for the role. The first phase of the application process ends on Friday 24th March by which time you will need to have submitted your CV and reasons why you’d be suitable for the role. Shortlisted candidates will then be invited to participate in a telephone and in-person interview. The below video explains how someone becomes a potential donor. 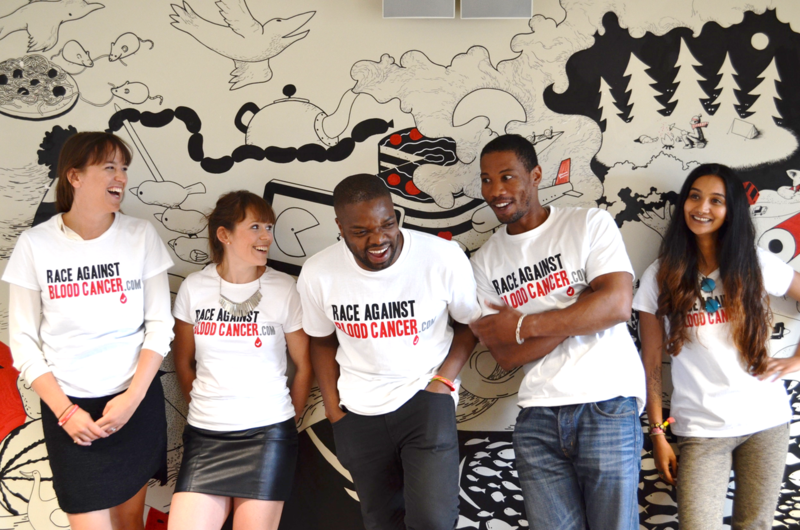 It’s worth noting that Race Against Blood Cancer and our Community Engagement team is only responsible for the registration process which involves filling out a short form and a cheek swab.